What are the questions with which you've been wrestling? What challenges are facing you and your community? In what ways do you image Groundswell Consulting can help complete your goals? We would love to hear your thoughts. Because this work is all about relationships. It is important to us that we cultivate each one well. 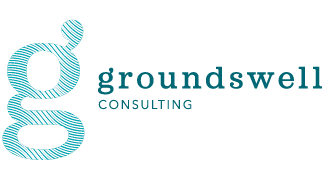 To this end, Groundswell offers every potential client up to an hour's free consultation to discuss specific needs and desired outcomes, then determine together what next steps are best. Sometimes those steps equate to long-term collaboration, and sometimes they result in referrals to other resources that might better complete your needs. Sometimes the next step is to simply wait and meditate on the problem at hand. All of these outcomes fit our approach to serving you. So reach out! We would love to hear from you.